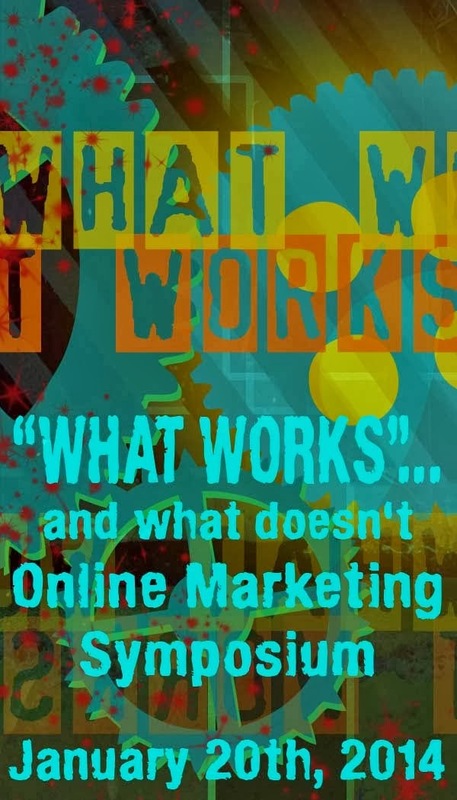 Welcome to the first ever “Online Marketing Symposium”! Brainchild of Arlee Bird and hosted by Yolanda Renee, Alex J. Cavanaugh, and Jeremy Hawkins. Let’s give these four amazing bloggers a nice round of applause for bringing us such a remarkable opportunity to teach and learn. The purpose of this blogfest is to share marketing ideas that worked for you or didn’t work at all. In doing so, you can help others successfully market their book or product. For those of us who are just starting out, this is a wonderful way to gather bits of marketing gold that can help us to promote our books, or any other service we are offering. It can also warn us about those lumps of marketing coal that don’t seem to help at all. Since I am a first-time author I don’t have much marketing gold to offer. Actually, as a newbie, I have been struggling. 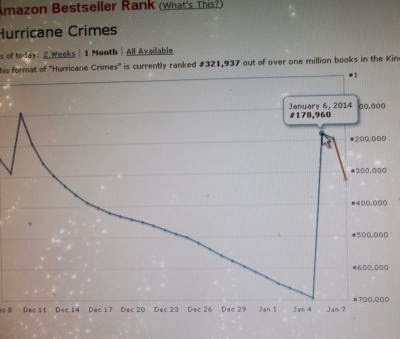 I recently came out with my debut eBook, Hurricane Crimes, and I have been running around in circles trying to get my story out there. Meanwhile, my sales plummeted to the dungeons of Amazon’s ranking system. I promoted on Goodreads by creating an event for the release, which did get me a wonderful response. Many of my Goodreads friends added my book to their TBR list and I am so grateful for that. I also made the announcement on my blog through an IWSG post, and thanks to all of you, I received many congratulations and a tiny spike in sales. These are, so far, my most effective tools: Goodreads and my blog, where I can immediately connect with fellow authors and readers. After that I made the announcement on my Facebook page. This gave me quite a few post likes, but it was my friends and family (just two, actually) who posted on Instagram and their FB profiles that garnered more of a response. Word of mouth is definitively an amazing tool. While doing this, I orchestrated a blog tour. Some of my guest posts got a few comments and shares on FB and Twitter, but I am finding that many of them just remain at ZERO and don't increase my book sales. Do you see that decline? Oh that was painful! I have also heavily promoted through groups on Goodreads, Yahoo Loops, and discussions in other sites I am a part of such as She Writes. In the beginning, this seemed to work. I have posted on Amazon forums too and received nada, which is probably because the majority of the people using these forums are other authors trying to promote their own books. So I would warn others that this could very well be a waste of time, as it was for me. I also added my books to several book sites. Eight to be exact. After I created an account with ManicReaders.com I did notice a spike in Facebook visits. The other site that seemed to bring a smidge of hope to my promo efforts was Storyfinds.com. Hurricane Crimes was added to their Book Marquee feature and received some shares on FB. Then finally came my five free days, which just ended on January 18th. I heavily promoted this because I’m not so much concerned about making money than getting my story in the hands of readers (or rather in their Kindles). To promote my free days I created an event on Goodreads, announced it on my blog and She Writes, submitted info about my eBook to many websites (only eleven actually posted something though), and shared the news on Yahoo Loops. This is the picture I used to announce my free days on FB. In the months to come I will be trying a few creative efforts on my FB page and blog. Thinking outside the box when it comes to marketing is the key. Instead of doing what all the other billions of authors are doing try your hand at something different. These ideas are the ones that can catch people’s attentions. So nice of you to share your experiences, Chrys. And congratulations! that was a great journey and thank you for sharing it... i really have never checked my numbers... i am afraid to see. Thank you for stopping by, Jeremy! Check the numbers can be nerve-whacking. Since it was free, does that make it an Amazon Best Freebie? LOL You watched your ranking and posted your book on other sites, both marketing it and keeping track of results. That's a smart thing. You'll know what worked and what didn't. First, congratulations on the release of your new book! And thanks for sharing what you've been doing. I believe word-of-mouth is the best advertising, but it can be difficult to get the "buzz" going. I wish you the very best with your boo sales! Great post. I'm a semi-newbie too. The whole 'tracking' thing on AMazon? I just don't get it. Have yet to figure it out!! Unfortunately, I wasn't aware of my KDP until the event was upon me. Friggin' email glitches. GRRRRRR So, I wasn't able to build up hype OR promote the freebie days as I would have liked. Yes, over 2k of my release were downloaded & I've gained a handful of reviews, but other than that? Not sure how well those freebie days work. Thanks for the Goodreads ideas. I'll keep that in mind for the next release! I'm sorry you weren't able to promote your free days like you would have wanted to. 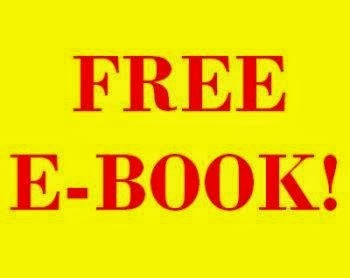 So far, I know a lot of people got my eBook for free and I have received 9 new reviews on Amazon. But I haven't received the sort of good luck other authors have with their free days. Maybe next time. Chrys, I think it's brave of you to check your rankings! And thanks for sharing what works. I will definitely do a giveaway with my next release. I think blog tours are the way to go and of course, reviews if we can get them! I told myself I wasn't going to check my ranking, but of course as soon as Hurricane Crimes came out, I did. It has gotten me down, but I'm learning not to let it get to me because it can change at the drop of a dime. I just checked my ranking and I was surprised once more. Yesterday, after the success with my free days was wiped clean my ranking was back in the dungeons, around #700,000. Ouch! But now it's at #117,000. Blog tours can definitely help with exposure. And reviews are very helpful. Tracking the numbers is important, but man oh man, can it draw blood from your battered ego! Keep on keeping on, I think that's the only thing we can do. Good luck! Thanks for sharing all those details. It sounds like you do a lot to things but you didn't try to do them all at once. Doing everything all at once would've caused me to pull my hair out. lol I did a lot when it first came out. Now I try a few new things here and there, and my blog tour is ongoing with 3-4 stops a week. That's cool your book did so well during the free days. My books are on Maniac Readers, but I need to list them in more places. Thanks for participating in the symposium! Wow. Great advice. I am beating my head against the wall trying to find ways to get the word out on my first book. My free days start on January 27th and I don't feel like I've done enough to promote my book. Like you, I am more concerned with people reading my story and seeing my name. I will definitely try some of the things that worked for you. Thanks for the great blog and the good tips. Best of luck with your free days, Devon! Remind me on the 27th and I'll grab a copy of your book and help to spread the word about it. Very informative, and some good advice. Great post! That was very interesting, and you mentioned some reader sites that are new to me - I've noted them down! Thanks! I'm glad! :) I hope the sites work for you, Jemima! GREAT post Chrys! My free days are coming up the end of Feb - can I ask WHEN you start sending out the news about your free days? Ack - I feel like I should have started yesterday - stress indeed!! Thank you, Kat! I started notifying the free sites a couple of weeks before. If you give them at least 2 weeks and up to a month to prepare you have a better chance of being featured. But a few only want you to submit the day of like Addicted to eBooks. As for making announcements, I did it the day of my first free day. I created an event on Goodreads and invited all of my friends. I also posted on FB and yahoo loops. 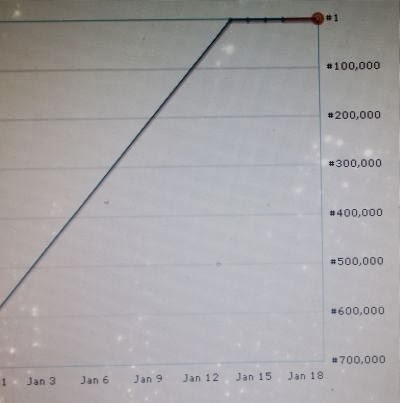 Since Amazon's ranking is determined by how many people buy your book at a given time, you have a great chance of reaching the Top 100 if you send out the news at the same time, everywhere. BEST OF LUCK TO YOU!!!!!!!!!!!!! Awesome tips! Goodreads has done well for me too. Facebook not so much, and guest posts do help. Thanks. FB can be tricky and often can be a bust. Really great tips! It's so awesome that your ranking went high! I love hearing that, it's so fabulous!! Hi Chris, thanks for visiting my blog! I am now following you and look forward to hearing more about your writing journey. I think blogging is one of the best marketing tools there is, because it's not only a way to get your name and voice out there but it's educational as one reads and follows other blogs, and also such a great way to build relationships. Chrys, you'll do well as you have a positive attitude and you follow through with hard work. I hope that next book is coming soon. so tracking your numbers has motivated you to push your book - that's great! and it's working! it's so hard to find the right way to market! i am getting great advice from this fest! It has. :) If it gets low, I know I have to push and try something new. Wonderful journey - thank you for sharing that. This blog fest has a truck load of great advice and information. So happy that your book did so well, you are to be commended for pushing forward and making it happen! Congratulations! With those results, you really did great as a newbie. Congratulations! You've got a lot of great sites listed here. Thanks! Will check them out. Thanks for sharing your journey. I'm impressed with all of your hard work. You should be proud! And next time it should be a little easier, right? Being able to personally connect with your audience is so important. Blogs and blog hops are a wonderful way to do this. Good tips! I need to utilize Goodreads more! You should. It's a great site and has helped me a lot. You're welcome, Andrea. :) Word-of-mouth and shares really can do wonder to spread awareness for our books. It looks like you're off to a great start! Congrats. Thank you, Elizabeth. Hearing that from another author makes me smile. :) Don't feel ashamed! Marketing is difficult. I barely have a handle on it. And I know there's a lot more I can learn and do. That's quite a journey! And a great method, too. Have you tried the countdown feature yet? The final day tends to fizzle a little (not a lot) but the first two days generate a fair amount of interest. The results are longer lasting than the free days, too. I have to go back and reread, and visit the other posters, but the information is excellent! Thanks, Diana! No, I haven't tried the countdown feature yet. What is it? I am dreading this aspect of the book deal. Like you, I am a newbie and pretty much clueless. I can't thank you enough for sharing you process. Paying forward always has its own rewards. I don't know if there is any sure way to do this, but I suspect relentlessness pays a huge dividend. Congrats for staying sane. Thank you for sharing your experiences! 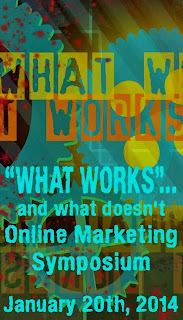 I have had a tough time finding that online "magic" window of marketing as well . . . the free days on Kindle have definitely helped, but at this point I'm just trying to get my next book cranked out and hoping for the best. You're welcome, Tyrean! I am in the same position as you. I wish you the best of luck with finishing your next book! Congratulations on making the top list, Chrys! I always admire writers who work hard on both their writing and their promoting. (Promotion is difficult for so many of us.) I'm nervous about promoting my upcoming MG novel on Kindle. Still getting the formatting done, then I'll be off to plan my marketing/promoting rounds. It's a tricky balance: promoting and not bombarding people with news on the release. I also haven't tried Goodreads, but will give it a go this time. FB didn't work much for me, probably because I didn't pay to boost my posts and all the likes are from my close bunch of writer/reader friends who've already read my ebooks. Thanks for sharing your experience here! I have found joining authors groups on Facebook is a good way to promote my book. Social media can be hit or miss but consistency helps to yield better results. Posting a few times a week makes a difference - if you post less than once a week, you're not building a presence people can remember (and then hopefully buy your book). 1. Download any emulator from the internet which will help you make the Garageband app compatible with Windows operating system. There are many emulators available on the web which can be downloaded free of cost. You can download any emulator from any of the websites that allow users to download software. 2. After downloading the emulator, enter the app store from there. 3. Now search for Garageband in the App Store and download the app from there. 4. Once you have downloaded the application, you will be able to easily run it on your Windows PC using the downloaded emulator. Emulator is a software which enables one computer to behave like another computer which means apps that are only developed for iOS and macOS platform will run smoothly on Windows platform as well. In other words, with the help of an emulator you can run applications that are not designed for Windows platform primarily. It creates a false environment where all apps can run.